Love the magazine and I follow their blog too so when I saw a request for readers entries I thought I'd have a go and was thrilled when I got picked. The theme was 'Words, Words, Words' and you had to use three colours - Mustard, Royal Blue and Turquoise oh and produce a simple card that can be made in 20 minutes! No pressure then lol. 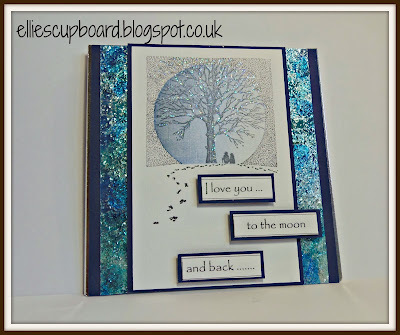 Loved this sentiment from an Inkylicious set 'Dancing in The Rain' which comes with the woman and umbrella and another couple of sentiments and of course for the background it just had to be 'Water Droplets' by Designs by Ryn. So my squealing when I saw it in print was heard by the whole village lol ! Why don't you have a go too - great fun and another ambition achieved that I can tick off my list - one happy bunny in Higham ! I haven't had time to read my mag.. then I saw this post... so had a cuppa as I read all about your lovey card . Congratulations Hellen.... fab work and well deserved being published! A big congratulations to you :D That is an awesome magazine and a real honour to have your card shown! It's a beauty. Thank you very much for showing it to me! 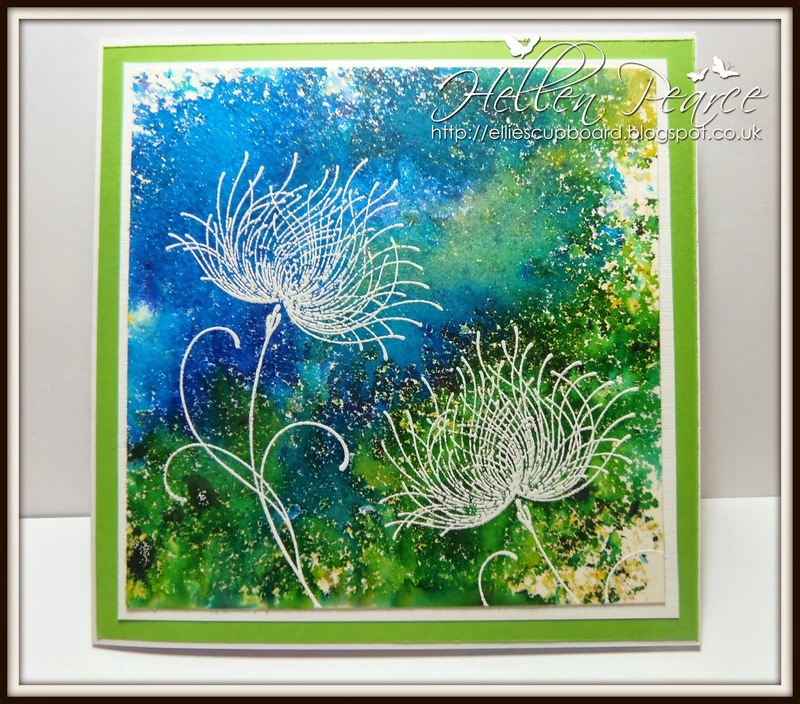 If you want to enter it into my customer creation draw for this month you can upload it directly to my blog: http://www.designsbyryn.blogspot.ca/2014/07/july-customer-creation-draw.html All my best to you!